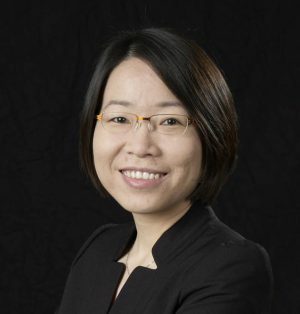 Khim Kelly is an Associate Professor at the Kenneth G. Dixon School of Accounting, University of Central Florida. Prior to arriving at UCF in 2016, Dr. Kelly was a faculty member at the University of Waterloo (Ontario, Canada) and Nanyang Technological University (Singapore). Her research interests center around the design of performance measurement, evaluation, and compensation practices in organizations and their effects on the judgment and decision-making, behavior, and performance of organizational stakeholders. She is also interested in how corporate governance mechanisms (e.g., regulatory requirements, audit procedures, internal controls, decision-making structures in organizations, and organization culture) affect the judgment and decision-making and behaviors of organizational stakeholders (e.g., managers, auditors, and investors). Dr. Kelly uses primarily experimental and behavioral methodologies in her research. Her work is published in Accounting, Organizations, and Society, Behavioral Research in Accounting, Contemporary Accounting Research, Journal of Management Accounting Research, and The Accounting Review. Dr. Kelly has taught both financial and managerial accounting.